If you are an Active Duty, Reservist or National Guard member interested in mental health for you or your family members this is the right spot for you. You will find information and links to a variety of services that are concerned about keeping your mental health information confidential. For example, there are links to Military One Source, authorized by the Department of Defense to give all service members and their families (regardless of activation status or deployment history) 12 free sessions per person! This is face to face counseling in your local area with a private practice therapist. No copay, no deductible! You will also find links to your local Veteran Services Office . They are amazing when it comes to military related issues. They are also free and confidential. They have some restrictions on who they serve, but can see anyone who has been deployed into a combat zone. So, take a look at what is available. Knowledge is power. Use the information provided to inform your buddies, your command, your families, and your service members. You can make a difference in helping Military members and their families find mental health care when they need it. Below are documents listing mental health-related services for Active Duty Service Members and their families. The links are tied to different printable flyers that list many organizations that provide confidential, no cost counseling. 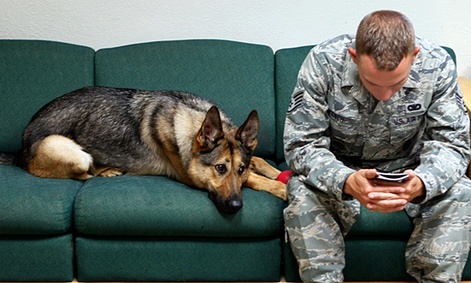 Military installations usually have a full time mental health clinic. The information provided in the flyers is for off installation services only. Please consult your installation directory for mental health services on your post/base etc. The services on base and the ones listed on the handout are all free of charge. Below are documents listing mental health-related services for National Guard and Reserve Service Members and their families. The links are tied to different printable flyers that list many organizations that provide confidential, no cost counseling. Most Military installations have a full time mental health clinic, which you may be able utilize if you are on Active Duty Status (Title 10 etc.) Please consult your installation directory for mental health on your post/base etc. to see if you qualify. The information provided in the flyers is for off installation services only. The services on base and the ones listed on the handout are all free of charge. The Real Warriors Campaign is an initiative launched by the Defense Centers of Excellence for Psychological Health and Traumatic Brain Injury (DCoE) to promote the processes of building resilience, facilitating recovery and supporting reintegration of returning service members, veterans and their families. The Real Warriors Campaign combats the stigma associated with seeking psychological health care and treatment and encourages service members to increase their awareness and use of these resources. The campaign features stories of real service members who have sought treatment and are continuing to maintain successful military or civilian careers. In addition, DCoE established the DCoE Outreach Center, a 24/7 call center staffed by health resource consultants to provide confidential answers, tools, tips and resources about psychological health and traumatic brain injury. Links to the call center can be found on the Real Warriors website. Dog Tags: Service Dogs for Those Who’ve Served Us was established by Puppies Behind Bars (PBB) in 2006 to provide service dogs to combat veterans returning home from Iraq (OIF) and Afghanistan (OEF) who have suffered a physical injury, traumatic brain injury (TBI) or exhibit post-traumatic stress disorder (PTSD).